The newborn swaddle blanket made of high quality Organic Cotton ,There are no zippers, no velcro or snaps . WASHING INSTRUCTIONS: Suggest Machine Wash Cold,Hang Dry . Made with stretchy and super soft double brushed fabric,perfect for use on baby tender skin . Newborn receiving blankets ,baby swaddle set , swaddle blanket. 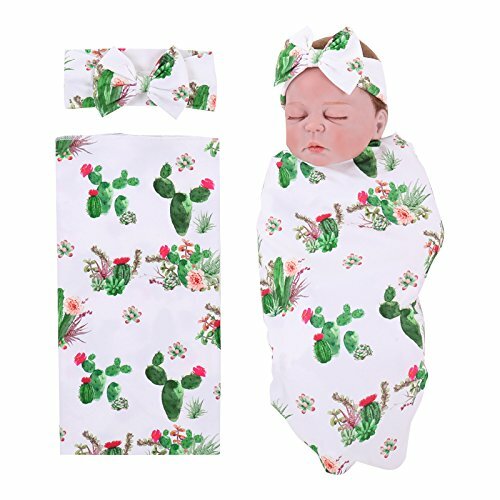 Gorgeous animals zoo newborn receiving blankets with bow headband great for Baby Shower Gift and baby photography props ,just perfect way to announce the birth of that special little one! Swadding Blankets : 29.5" *37.4"(75cm*95cm),Fits for about 0-3 months unisex babies to use. If you have any questions about this product by NZRVAWS, contact us by completing and submitting the form below. If you are looking for a specif part number, please include it with your message.